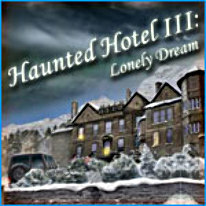 Explore the Haunted Hotel and experience supernatural phenomena for yourself in Haunted Hotel: The Lonely Dream! Find hidden objects as you explore the different rooms of the hotel and uncover spooky secrets. Collect helpful Inventory objects to help you progress through the building, and solve tricky puzzles. Each room brings you closer to the truth!